Who knew? 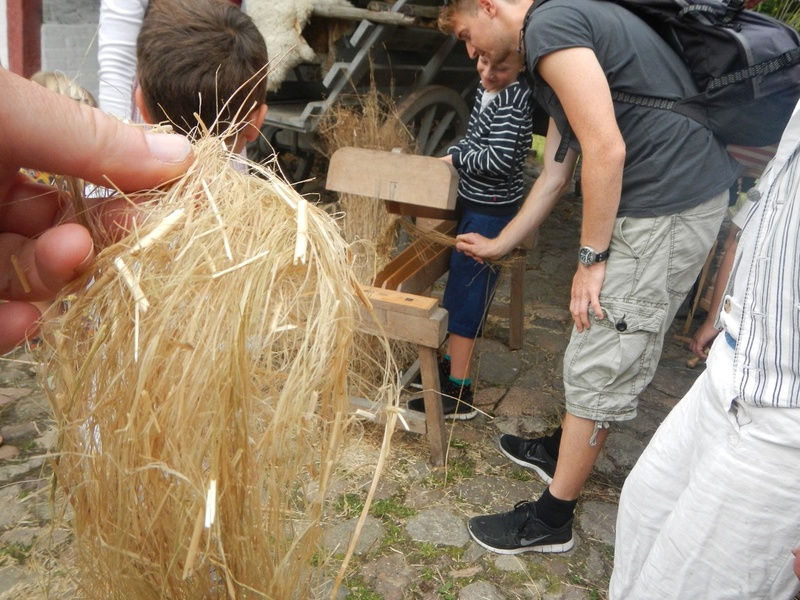 I did not know that linen was originally made from a straw derived from the Flax plant. I always though linen was cotton based. On Saturday we played tourist in Odense, Denmark. We took the 10am train into town and learned all about Hans Christian Anderson. After all, the famous author of fairytales was born in Odense and lived here until he was at least 14 years of age. So with that, the whole city is more or less dedicated to the great HC Anderson. To properly complete the HC Anderson tour of Odense, all one has to do is follow the painted footprints through-out the town. Which got us hopelessly lost on bicycle. With the city construction combined with the pedestrian areas, we ended up going in circles a few times before we stumbled upon an outdoor Children’s Theater in honor of HC Anderson. The theater is a nice tribute to the author and a chance for children to get involved in community art. A few adults and mostly children act out short segments of some of the more popular HC Andersen fairy tales. Even though they were in Danish, we were able to get the gist of the tale they were depicting. 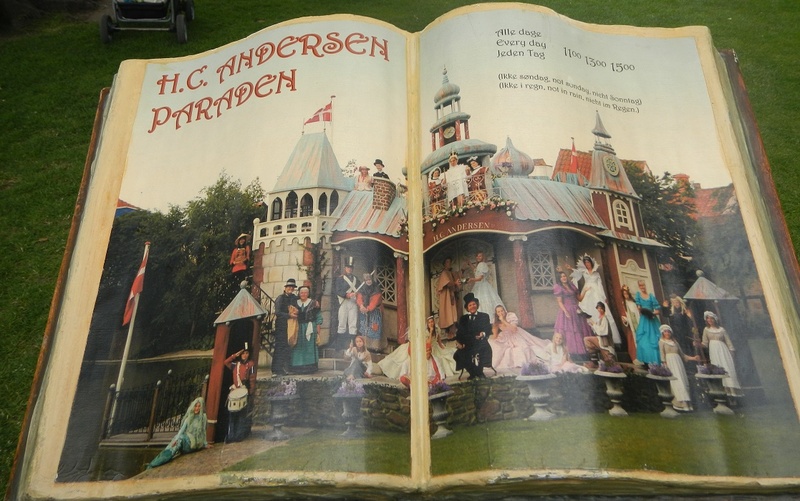 (For a fairly comprehensive collection of HC Anderson’s fairytales in English check out this Site: HC Anderson. – Thanks Maibritt for the find). After our excursion to the HC Anderson Hus we ventured out to Den Fynske Landsby. A Danish open air museum that has over 25 dwellings representing a village from the 1800’s. It is clear how hard life was back then. The phrase “it takes a community” kept running through my head. I was particularly taken with the spinning of the Linen. I had no idea that true linen comes from the Flax plant (Linum usitatissimum). The dried fermented flax plants (called straw) are crushed in a wooden device and the outer shell is broken off. This leaves a fiber that is then further cleaned of the crushed outer casings by scotching and heckling. 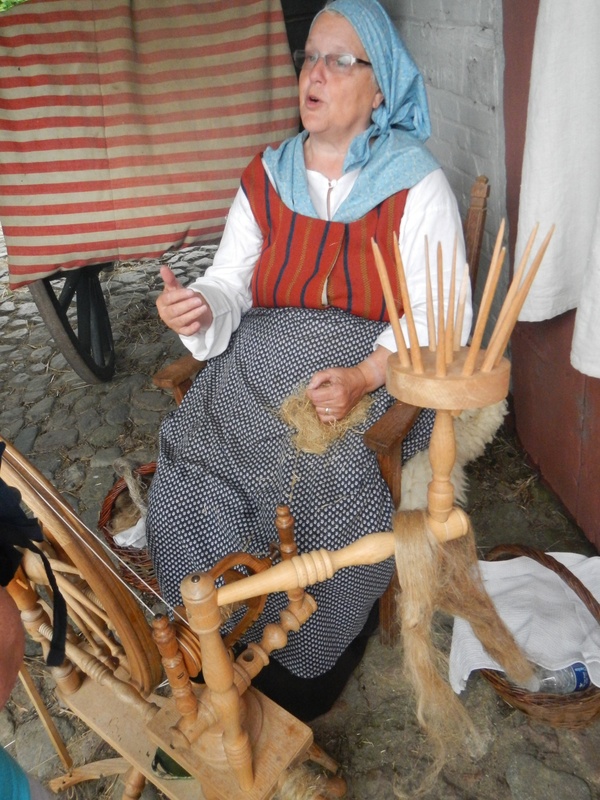 Then, once the fiber is cleaned enough, the fibers are woven into usable linen to make all kinds of clothing. The more coarse fibers are used to make lower quality products. The newly minted linen was kindly compared to my hair- “just like your hair” – thanks for that. Fascinating. The dude running the crushing device asked if we wanted to give it a try. Of course I did. He said that I could not crush the flax as this is man’s work. To which I responded that I am from Oregon, women can do man’s work in Oregon and proceeded to crush the plants. 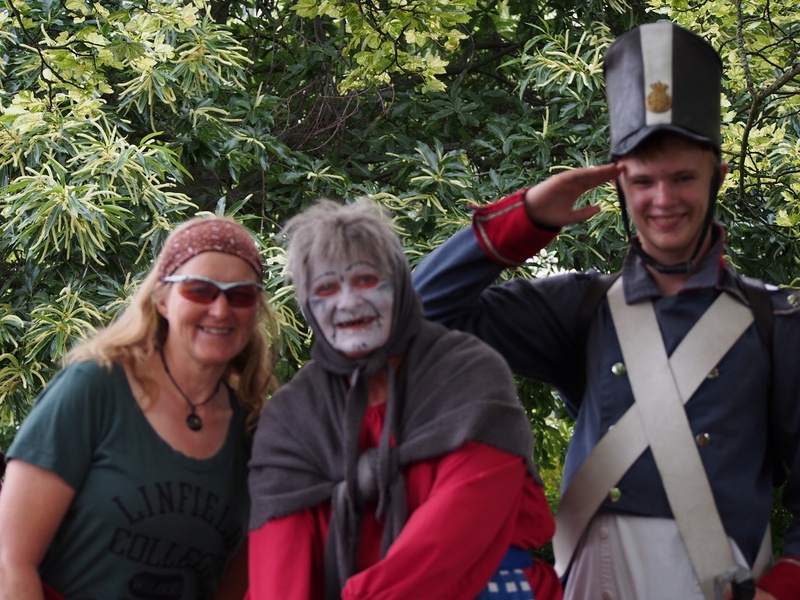 Your linen photos and discussion was bitter sweet because my ancestors were linen makers. I have my grandmother’s spinning wheel here in Portland, the one my dad spun on. 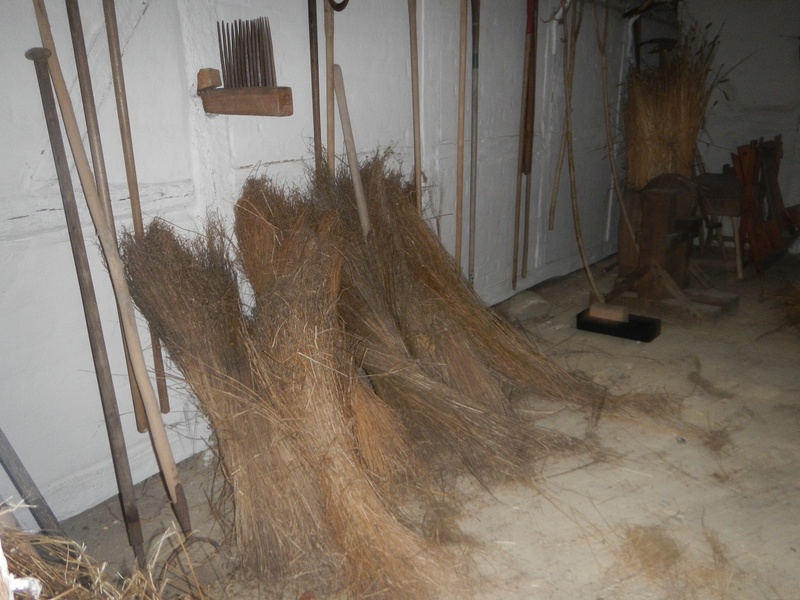 In our ancestral home in the Westerwald, which was build in 1720, my dad used to have a little museum, or sorts, where he displayed all those flax and linen devices you have in your photos. He would give community lectures about the process of making linen. Since I left Germany for the US, and there was no in the family to take over the old farmhouse, we had to sell it two years ago. Sad.